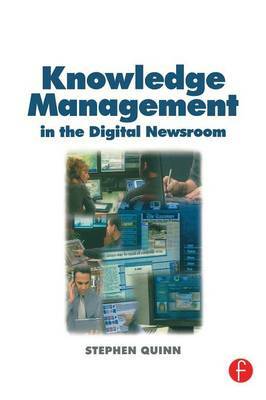 If you are an editor or newsroom manager seeking new and more efficient ways of managing the ever increasing flow of information through your newsroom, this book will provide the information you need to make informed decisions about crucial organisational and equipment changes. What are the factors driving change in newsrooms? How are news organizations around the world re-organising their newsrooms to deal with information in new ways? How are the opposing needs to cut costs and yet maintain journalistic quality being met? What digital tools are currently available, e.g. for computer-assisted reporting? How can reporters become more mobile? How can trainee journalists be better prepared for operating within the changing newsroom environment? Each chapter is supplemented by a 'how to learn more' section, suggesting further resources for tackling each issue. Whether you are planning major change in your newsroom or simply wish to keep up with the latest industry trends, this is the book you have been waiting for. "Essential reading for all journalists and managers as we all consider how on earth to make the right decisions as our industry enters the biggest period of technological change it has yet faced." "It captures current thinking very clearly by identifying key authors and their arguments and ultimately analysing the most likely agents of future change."